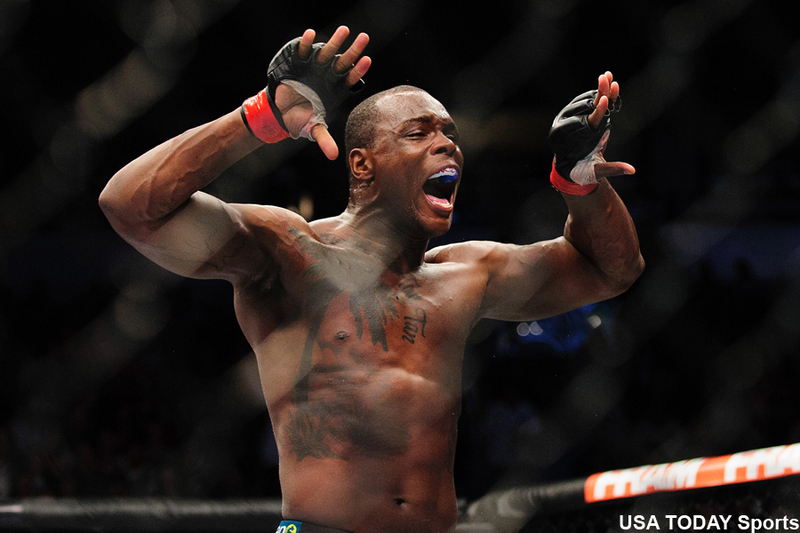 One day after it was reported light heavyweight champion Daniel Cormier would be forced out of his highly anticipated rematch against Jon Jones at UFC 197 with a leg injury, it was announced Ovince St. Preux (pictured) will serve as substitute on just three weeks’ notice to fight the most decorated 205-pounder in UFC history. The new matchup is for the light heavyweight interim title. St. Preux has won three of his past four fights, most recently posting a unanimous decision victory over Rafael Cavalcante in February. This is by far the toughest test of OSP’s career, but best believe he was well compensated by the UFC for stepping up at the 11th hour. Jones’ PR company tweeted earlier today that their client would be facing Anthony Johnson in the show’s featured attraction, then promptly deleted the post. It is unknown why the shootout with Johnson fell through. Jones, meanwhile, was stripped of his light heavyweight crown after April’s felony hit-and-run arrest where a pregnant motorist suffered a broken arm. He was last seen dominating Cormier 15 months ago at UFC 182 to notch his UFC-record eighth straight light heavyweight title defense. Jones was just arrested Tuesday and spent three days in jail for probation violation after last week’s drag racing ticket. He pled guilty Thursday in order to be freed and keep his UFC 197 appointment. It is unknown how long Cormier will be forced to ride the pine. If victorious, it stands to reason he’ll fave Cormier in his next outing to try and unify the belt.